Marley has found 8 sponsor's thank you to ~ Rachel Comrie, Rehoming STB's OTT, Peta Denning, Lyn Clark, Kaynne Balderson, Kristy Evans, Beth Reiley and Tanya Biltoft for sponsoring Marley you are all amazing. 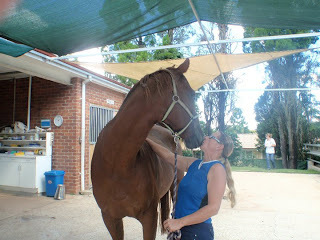 Next horse looking for sponsership will be Jet. Marley was surrendered on the 10th of December 2010 with the nastiest cracked hooves I have ever seen. 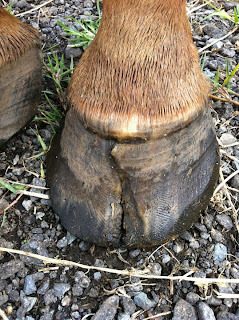 His xrays showed chronic laminitis and two fractured petal bones. 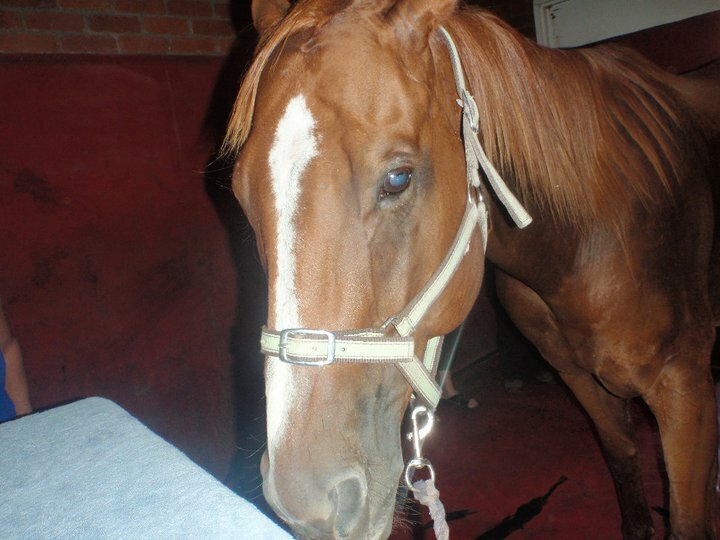 Marley was in a lot of pain and many people thought we should put him to sleep. He is on founder guard and retread supplements which cost $80 and $110 per kilo bucket. 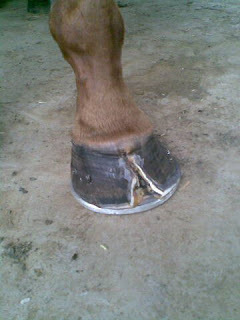 He also requires expensive corrective shoeing and we have spent thousands already trying to get him back to health. Marley still has a long way to go and will be with us for at least another 12 – 18 months. 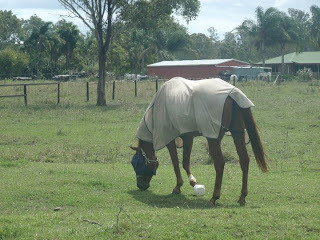 We are looking for long-term sponsors who can help him through his rehab. However, if you commit to sponsorship and something happens down the track and you can no longer sponsor him, just email us and we will find another sponsor. Marley is 12 years old and a 17hh TB gelding. Marley is search for 8 sponsors at $10 per week each. Once Marley has been re-homed you will get a personalised photo album with photos of Marley’s progress from the beginning right through to the end of his rehabilitation. This will include progress updates and a certificate of appreciation. You will also be listed on our website www.saveahorse.amandavella.com as Marley sponsors. It only cost $10 per week to sponsor Marley so if you think you would like to help him get through his rehab please email me on saveahorseaustralia@yahoo.com.au and I will give you all of the details.